Designer Sam Beckett has put together a concept rendering of what he thinks Apple’s iPhone 6 might look like when it is unveiled later this year, using leaked specifications that are rumoured to be incorporated into the new iPhone 6 smartphone. A number of rumours have been circulating regards the design and specifications of the new Apple iPhone 6 including with some indicating the new iPhone 6 will only be 8 percent larger than the current iPhone 5S but will be fitted with a screen that is 17 percent larger offering 68 percent more pixels for users to enjoy. 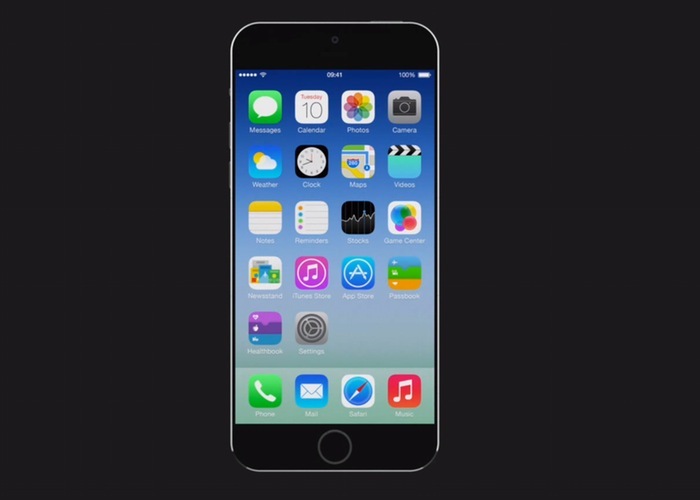 Other features included in the iPhone 6 concept include a faster A8 chip and 10 megapixel camera. However as you might expect nothing has been officially announced by Apple as yet and we will need to wait until later in the year to see if Sam’s conceptual iPhone 6 design is close to the mark.